The two ‘schools of thought’ appear similar, but their differences are significant and leads to two different positions. Social constructivists argue that reality is always social mediated and mind-dependent and Radical contructivists argue that mind-independent entities exist and they are knowable. It is along these dividing lines that the battle of constructivists are drawn. The former is anti-realist and the later is realist. In ‘We have Never be Modern’ Latour discusses the problem for the social scientists that attempt to explain the world in terms of either subject/society or object/nature. His generally thesis seems to be that modernity has created a constitution that separates, and purifies, Society from Nature and Nature from Society. If Latour is correct then we are required to reject this purification and distinction of Society and Nature and come to realise modernity is not real. The implications of ‘We Have Never Been Modern’ runs counter to a lot of common knowledge; think about university departments and the segmentation of knowledge production. A common distinction that plays out the Society and Nature distinction is separating Social Sciences (politics, sociology, cultural studies) from Natural Sciences (biology, chemistry, physics). Interestingly, one of the subjects that really questions the division of Natural Science and Social Science is Geography, a subject that I was lucky enough to study at undergraduate level. 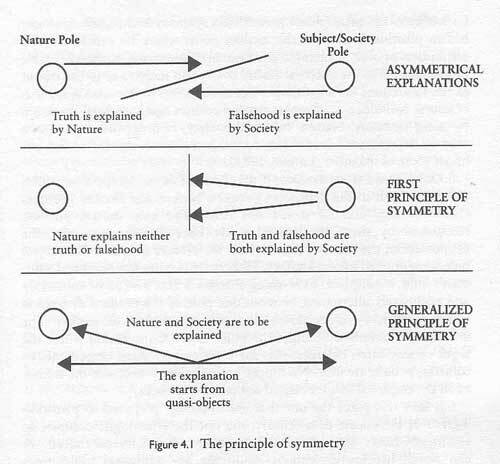 How then does the nature and society distinction play out in explanations of the world? Consider the question, ‘what creates human’s needs and interests?’ An ‘ordinary person’ might argue that it is the object that determine the needs and interests of the subject, referring to the object, for example, as either God or the economy. In this explanation the “flow of determination” goes from the object to the subject. However, the social scientist could argue that the ‘ordinary person’ is misguided and the “flow of determination” goes from the subject to the object, where ‘Gods. money, fashion and art only offer a surface for the projection of our needs and interests’ (Latour, 1994;p52). Accordingly, the social scientist claims that ‘the inner properties of objects do not count, that they are mere receptacles for human categories’ (Latour, 1994; p52). We may classify this argument, where the subject determines the object, as social constructivism, which holds the position that it is the meanings, categories, and classifications that are important to explain the world. In contrast, the ‘ordinary person’ could argue that it is society that determines the object, claiming that they have ‘free will’ and are a ‘rational actor.’ For example, the ‘ordinary person’ could claim that it was their own ‘free choice’ and not economic needs that made them purchase a commodity. Critiquing this view of the ordinary person, the social scientist will claim that ‘free will’ and ‘rational choice’ are myths that conceal the real turth of how the object determines the subject. We only need to imagine a Marxist social scientist arguing that the subject is experiencing is nothing other than false consciousness where the material/economic base determines the superstructure (beliefs, views, culture…). We seem to be at an impasse. Either the social scientist is left arguing that it is the subject that determines the object or it is the object that determines the subject. This situation is largely sterile as it generates a master/slave dialectic reliant upon the separation of nature and society. In reality the separation of nature and society is a myth and hybrid analysis aims to demy stify this embedded myth of modernity. The example of smoking is a clear phenomenon that transcends, or at least questions, the nature/society divide. As an (quasi) oject smoking is too real to be social and too social to be merely real. In otherwords, smoking is a hybrid that is objective and subjective. It is objective in the sense that smoking has real effects and non-discursive dimensions. 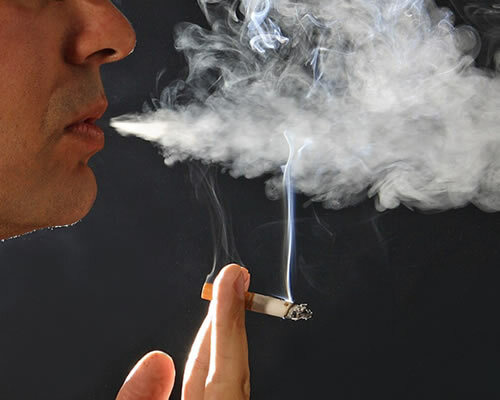 It is subjective as smoking has as categories, classifications, and meanings. The empiricism of hybrid analysis has to account for, at least, the objectivity and subjectivity of smoking, or whatever object it is examining. Here is a link to a recording of Graham Harman discussing Manuel DeLanda’s Assemblage Theory. it is from a talk Graham gave at LSE comparing assemblage theory with Bruno Latour’s actor-network-theory. Thanks to the anthem-group for posting the recording.